Nowadays most of us visit Dr Internet before our GP but are we getting the right information? Kate Quilton and Dr Tamal Ray investigate. Can youtube save your teeth? Should we monitor moles with an app? And should we eat placenta? On Monday 24th October 2016 Channel 4 at 8:30pm. 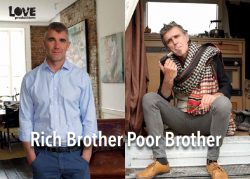 Wealth, politics and personal disagreements have destroyed the relationship between millionaire Ivan Massow and his hard-up brother David. For the first time in nearly 30 years, the two estranged brothers will share each other's lives. But will this experience build a bridge across the divide that has seperated them for so long? Immigration is one of the most hotly debated and polarising issues in Britain today, this four-part series explores lives and aspirations of new migrants to Britain and the impact of immigration on a single community - Page Hall in Sheffield. Starting Thursday 4th February 2016 Channel 4 at 9pm. One of the most controversial and talked about documentary series of recent years returns for a second series. 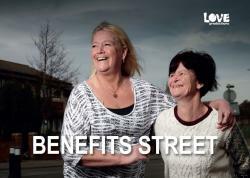 Last year the first series of Benefits Street, filmed on James Turner Street in Birmingham, sparked a political and media debate about poverty and welfare with one of the street’s residents, ‘White Dee’, becoming a national figure. This time the series focuses on Kingston Road on the Tilery Estate in Stockton-On-Tees, an area hit hard by recession and economic decline. This thought-provoking documentary provides a unique insight into multiculturalism in Britain today, from the perspective of one of Britain’s most ethnically diverse streets, Derby Road in Southampton. 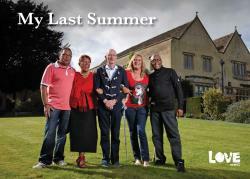 Begins on Tuesday 24th February 2015 Channel 4 at 10pm. We drove them for fun, we drove them for work and we drove them in our dreams. But now they’re fallen on hard times. 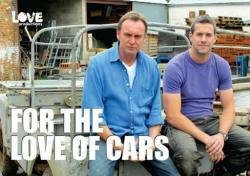 And For The Love of Cars, Philip Glenister and international renowned car designer Ant Anstead are going to do something about it. From James Bond favourite, the Aston Martin DBS to ultimate 80’s hot-hatch, the Golf GTi mk1, each week Ant and Phil have just 10 weeks to save a classic car restoration that’s gone wrong - restoring it in time for one of the biggest classic car auctions of the year. 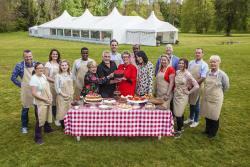 Begins Sunday 19th April 2015 Channel 4 at 8pm. We drove them for fun, we drove them for work and we drove them in our dreams. But now they’re fallen on hard times.